Eric Banadinović is professionally known as Eric Bana who is an Australian actor and comedian. He started his career in the sketch comedy series Full Frontal and became critically recognized in the biographical crime film Chopper (2000). After years of roles in Australian TV shows and films, Bana gained the attention of Hollywood for his performance in the title character in the Ang Lee's Marvel Comics film Hulk (2003) and the war film Black Hawk Down (2001). Bana also played the lead in Steven Spielberg's historical drama and political thriller Munich (2005), Hector in the movie Troy (2004), the villain Nero in the science-fiction film Star Trek (2009), and Henry VIII in The Other Boleyn Girl (2008). Bana played Lt. Cmdr. Erik S. Kristensen in the war film Lone Survivor and became police sergeant Ralph Sarchie in the horror movie Deliver Us from Evil. Bana is an accomplished comedian and dramatic actor with a net worth of $40 million. He received the highest television and film awards for his performances in Australia. They were for the films Romulus, My Father, Chopper and Full Frontal. He performed for a broad spectrum of leading roles and lots of major studio and low-budget movies. These films range from drama and romantic comedies to action thrillers and science fiction. 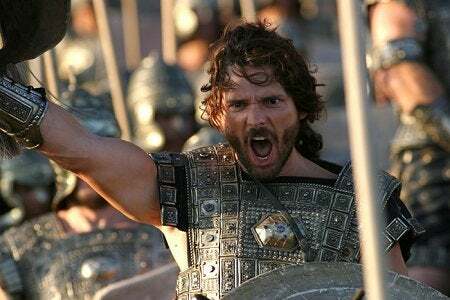 The below financial data is gathered and compiled by TheRichest analysts team to give you a better understanding of Eric Bana Net Worth by breaking down the most relevant financial events such as yearly salaries, contracts, earn outs, endorsements, stock ownership and much more.